Do you want to replace native camera of your iPhone ? If yes, this article can give a list of the best iPhone camera apps to replace your native camera. Although iPhone comes with a high quality native camera but you can’t use it as a professional camera. If you want to turn your native camera to a full featured camera that can help you to take photos like professionals, you can try any of these useful iPhone camera apps. 1. Manual ( iPhone ) – One of the best professional camera apps for iPhone users and it lets you shoot photos like pro. The app has lots of photography features and lets you shoot RAW in DNG format with full control of exposure. 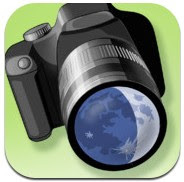 Recommended app for professional photographs. 2. Camera360 Ultimate ( iPhone ) – If you are looking for a powerful camera app for free, Camera360 Ultimate is one of the best options for your device. The app also comes with a powerful photo editing suite that lets you create amazing photos. With the help of this app, you can easily shoot beautiful photos like pro. The app includes lots of camera modes and creative image editing tools. The app comes with lots of functions such as facial detection modes, scene templates for professional shooting, lots of free image effects, photo id option to capture image to create Photo ID. Very useful app that is currently available free of cost on the App store. 3. 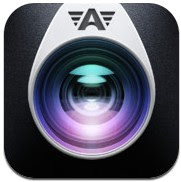 Camera Awesome ( iPhone & iPad ) – Camera Awesome is one of the most popular camera apps on the app store that is available free of cost for iPhone/iPad users. 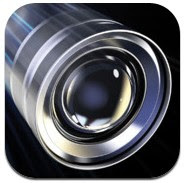 If you are looking for fully functional free camera app for your iDevice, you can try Camera Awesome that has many features. Very useful camera app that is integrated with professional effects and lots of useful features ,including tons of designs , effects and one tap social sharing feature for YouTube, Facebook, Twitter, Instagram, Picasa, SmugMug, Flickr and Photobucket. 4. Fast Camera ( iPhone & iPad ) – Fast Camera is a unique camera app that comes with lots of features. One of the best camera applications for iPhone and iPad users that lets you take up to 800 photos in a minute. Great for professional movie makers. Fast camera allows you to capture unlimited photos , including group photos, self-portraits and live action capturing mode with photo capturing speed controller feature. 5. 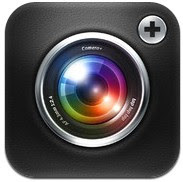 Camera+ ( iPhone ) – One of the most popular and useful iPhone camera apps on the app store that comes with beautiful user interface including many photo capturing and editing functions that can only be found in few camera apps. 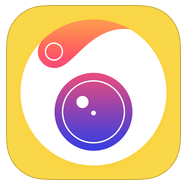 Camera+ includes professional focus controlling and shooting modes, digital zoom, front flash, different types of scene modes ( night, light, sunset etc ) , tons of photo effects , photo borders , and social sharing features. Great camera app for iPhone users. 6. 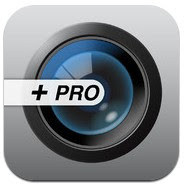 Camera Plus Pro ( iPhone ) – Camera Plus Pro turns your iPhone into a mini professional camera that lets you shoot photos & videos like professionals. 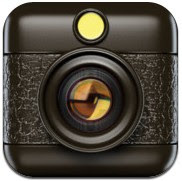 Powerful and featured rich camera app that has many functions such as – focus controlling, video recording with live preview of vintage filters, powerful photo editing functions with 45 photo effects, password protection for private photos and videos and social sharing feature to share your photos and videos to YouTube, Facebook, Twitter and Tumblr. 7. 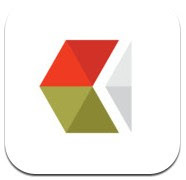 Hipstamatic ( iPhone ) – Hipstamatic is a powerful camera app that is integrated with hundreds of photo effects, films, flashes and lenses. Useful iPhone camera app that lets you take beautiful photos and share them to your favorite social sites such as – Facebook, Twitter, Flickr, Instagram, and Tumblr. 8. True HDR ( iPhone & iPad ) – True HDR is one of the best apps for iPhone and iPad to create photos in full resolution high dynamic range ( HDR ) . Fully functional camera app that comes with tons of photo capturing features including custom sliders, effects controlling and AutoCapture mode. 9. VSCO Cam ( iPhone ) – VSCO Cam is a free camera app for iPhone users that is integrated with powerful photo capturing features , including focus controlling, photo editing, photo organizer and social sharing option. You can add more features by purchasing additional packs.